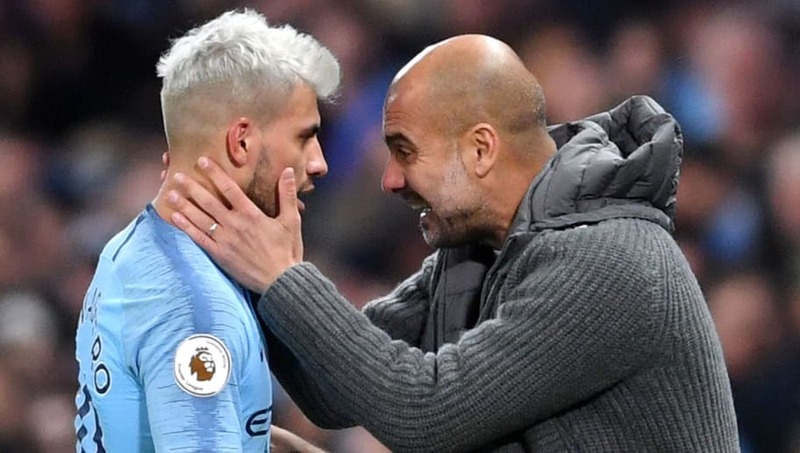 ​Manchester City boss Pep Guardiola has heaped praise on forward Sergio Aguero for his attitude in big games. The Argentine has six goals in his last five games including key efforts against Liverpool and Arsenal. That form has helped Manchester City close the gap on league leaders Liverpool and throw the title race wide open. Guardiola highlighted the significance of his star forward, pointing to an impressive record of 40 goals from 59 games against top six sides. Manchester City still have three of the top six to play in their final 12 games as they look to defend their Premier League title. The first of those is Chelsea who visit the Etihad on Sunday and Guardiola has been talking up his talisman ahead of the clash. “The big players need to appear in the big games, in the big ­moments, and he has done it. Hopefully, he can ­continue to do it,” Guardiola told the Daily Mirror. “That goal against Liverpool summed up what he is about. In the big moments, always the big athletes come there. “Sometimes some players hide in the scary moments. The other ones step forward and say, ‘I’m the boss, I’m here and I’m going to win the game’ - Big clubs need these kinds of players. It's simple." Whilst Aguero is in red hot form, Guardiola also took the opportunity to remind the squad they will not be picked on name alone. Certain under-performers face a spell on the sidelines in the crucial run-up, most notably last season’s Man City Player of the Year, Kevin De Bruyne. “Everyone knows it’s ­possible to play or not possible - we judge the players for who they are, but they are there to perform. There are times when team-mates are in better condition.